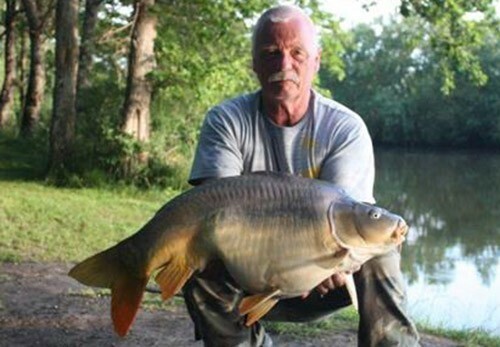 "Peter, Willem and Nico Vrind fished Alberts Lake from 07/06/14 to 14/06/14. Their week got off to a flying start at the beginning of the week, but then on their 3rd day the fish started spawning and the catch rate dropped. They caught 47 carp in their week with 15 over 30lb and Nico broke his PB twice - first with a nice common of 38lb and then with a mirror of 42lb. Nick Tuteleers, Bjorn Wuyts and Rocky de Ceular fished Busters Lake from 07/06/14 to 14/06/14. With temperatures reaching up to 27 degrees this week and fishing from swim 5 they caught 22 carp including carp of 15kg, 18kg and Nick had a 20kg mirror on their last night. 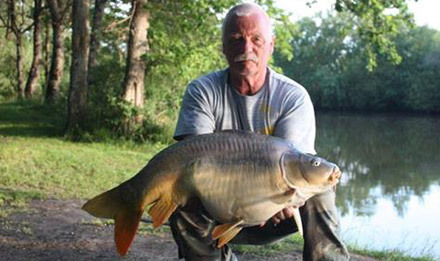 They also had a catfish weighing in at 25kg."